*Smog Star is a star smog Test only station , certified by the state of California and Bureau of Automotive Repair. *Smog Star became one of the top pioneers of smog check star stations in the riverside county. *We offers honest services, accurate results and fair to cheapest prices. *We transmit smog check result directly to the DMV and Auto Club (AAA). *We smog Test all kinds of Vehicles ( Cars, Trucks, SUVs, Vans, Motorhomes). *We smog check Gas, Diesel, Hybrid Vehicles. Registration Renewal, Out of State, Gross polluter, Change of Ownership. Smog is a type of air pollution. The word “smog” was made in the early 20th century as portmanteau of the words smoke and fog to refer to smoky fog. Smog is a serious problem in many cities and continues to harm human health. Smog check every two years could help human life. Smog check stations are increasing more and more day after day. In California the smog station is the definition used, in other states called emission stations, or emission testing station. Here in Murrieta and surrounding area smog check stations became very competitor. Smog test is a procedure used to check producing emission from vehicles. Smog price vary from city to other and from smog station to other. Every body has different smog check coupons. Looking on line for Cheapest smog check station used more often & people start eliminate papers or magazine used in old days to look for smog check coupons or stations offering pass or don’t pay. January 1st, 2013 the star program started and few stations became a star station. Emission test in Murrieta as we mentioned before became very competitor. Smog check in Murrieta like other cities very crowded business. Every star station and regular smog station advertising on line to catch customers, like they are fishing, they use all kind of tools and they break all kind of rules in order to catch more and more fishes/customers. They use different kind of words to get search engine attention, smog coupons, cheapest smog , star station Murrieta ca, smog check Murrieta ca & many more words. Search engine like a knife eating money from all of us going up & down. Here in our smog station we are the honest, accurate and cheapest smog check Murrieta ca. We just open our business in late Dec 2014 . Give us a chance and you will like our services and price, we promise to be the cheapest smog in Murrieta & surrounding area. In our smog station our price is always the smog check coupons price no different. We are here to make you happy customer and help you to have a smile in your face after you pass the smog check test. Smog price vary from city to other and from smog station to other. Looking on line for Cheapest smog check station used more often & people start eliminate papers or magazine used in old days to look for smog check coupons or stations offering pass or don’t pay. January 1st, 2013 the star program started and few stations became a star station. Emission test in Murrieta and Temecula. We became very competitor in Smog check in Murrieta, Temecula like other cities are very crowded business. Every star station and regular smog station, Smog check in Murrieta Ca, smog check in Murrieta,Smog check places, advertising on line to catch customers, like they are fishing, They use all kind of tools and they break all kind of rules in order to catch more and more fishes/customers, they use different kind of words to get search engine attention, smog coupons, cheapest smog Temecula, smog check Murrieta,smog check in Temecula, Temecula smog, star station Temecula Ca, smog check Temecula Ca, California smog check & many more words. Search engine like a knife eating money from all of us going up & down. 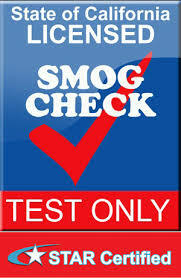 Here in our smog station we are the honest, accurate and cheapest smog check Temecula ca. We just open our business in late Aug 2013 beginning of Sept. Give us a chance and you will like our services and price, we promise to be the cheapest smog in Temecula & surrounding area. In our smog station our price is always the smog check coupons price no different. We are here to make you happy customer and help you to have a smile in your face after you pass the smog check test. When my vehicle need smog? Every vehicle manufactured in 1976 and newer required to participate in the smog check program every two years(biennial).Six years old and newer gas vehicles are not required to participate in the smog check program. 1998 model and newer Diesel vehicles are also required to join the smog check program. Any change of ownership for any vehicles over four years old must have smog check unless the new owner is spouse, sibling, child, parent, grandparent, domestic partner or grandchild is exempt. Why need to go to test only station? Test only station does not do any repair. It is only test a vehicle for pass or fail .Test and repair station can perform testing and repair. A star station is a station that meet high performance standards that required by the Bureau of Automotive repair. There are two kinds of star stations, one perform only tests and the other perform tests and repairs. What is the consumer assistant program(CAP)? It is a program that provide financial assistance for owner whose vehicles fail the smog check. There are some requirements to be qualify for that program: Your income needs to be at or below the federal proverty guidelines(225%) in order to qualify for up to $500 repair coast. Vehicle Owner need to pay $20 for diagnostic and emission repairs. If your vehicle required to be tested at test only station then you may be qualify to get up to $500 in repair assistance. You must pay the first $100 for diagnostics and emission repairs. You can get the application to apply from the BAR website.